Have you recovered from the holidays? We got one down and the big one is next. Honestly it shocks me on how fast time is going, it’s crazy!! I am really not ready for Christmas. No one told me what they wanted, so it makes it doubly hard to shop this year. Oh well. So how was your Thanksgiving? Did you make lots of goodies? Do you have leftover turkey? Well if you do I have the most awesome recipe for you today! This is my Turkey Cranberry Fiesta Quesadilla. Oh my gosh it is soooooooooo good! It’s made with leftover turkey, cream cheese and Ocean Spray Cranberry Fiesta Salsa. 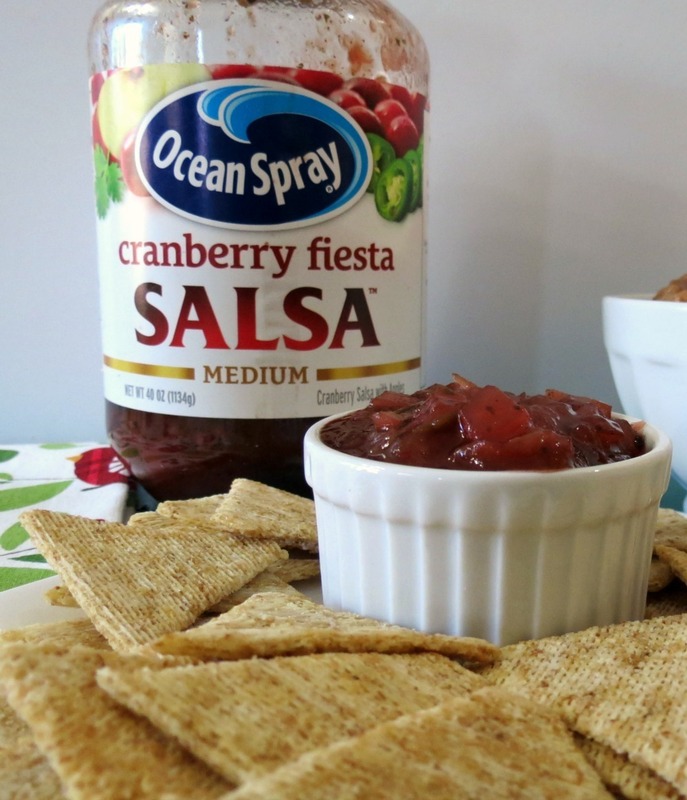 Have you heard of Ocean Sprays Cranberry Fiesta Salsa? It is darn good stuff! Ocean Spray sent me a jar of their salsa to try out and I couldn’t wait to try it. I opened up, mixed it with a spoon and took a big taste of it. WOW!!! That gave me the kick in the pants I needed. I was shocked on how spicy it was. Woohwee!!!! It’s good! Really I was shocked. You don’t even get it, I took a big spoonful and I mean a big one! I was not expecting that! But its spicy in a good way. I really love it! It’s made with cranberries,apples, jalapeno, tomatoes and spices. It’s chunky, sweet and savory. Really the salsa isn’t that spicy, but it wasn’t what I expected and I really do love it. As a little side dish, I also had some more Ocean Spray Cranberry Fiesta Salsa with some chips. I think the first day I opened it I went through almost half the jar. So not only does the salsa taste good with turkey it is also good for dipping. 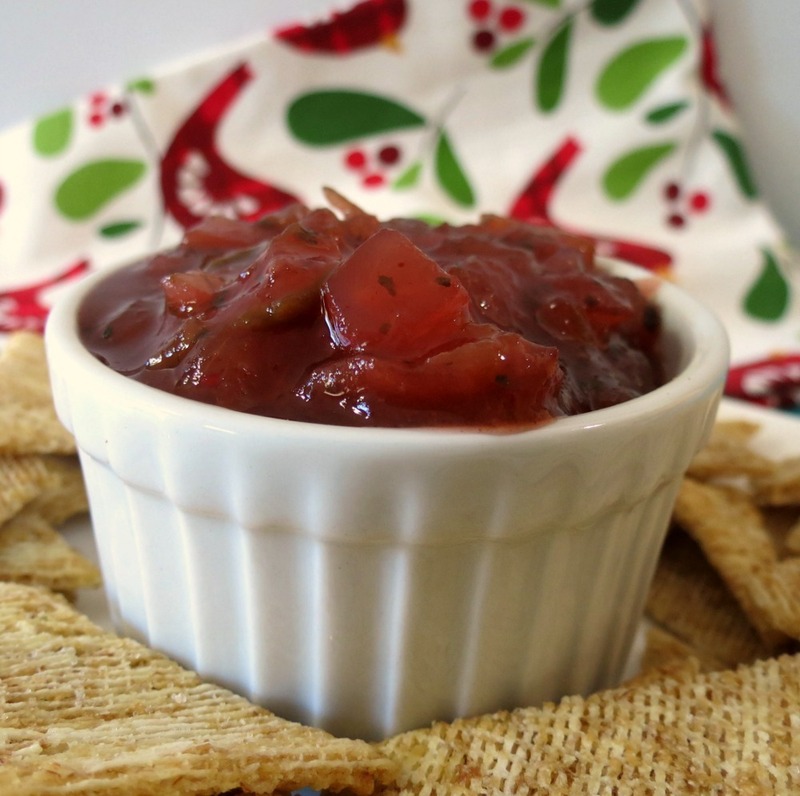 The salsa would be a perfect little kick to add to your holiday table. 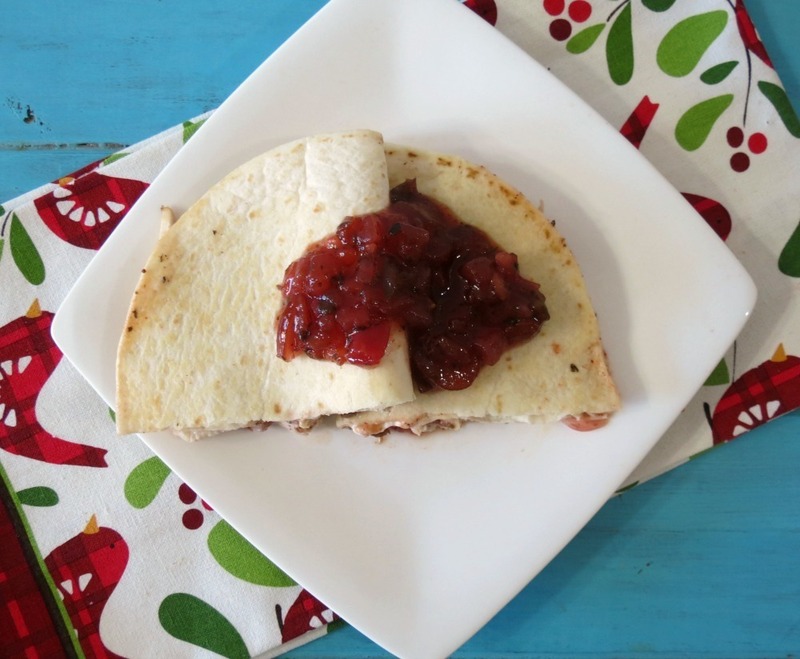 A flour tortilla filled with cream cheese, turkey and Cranberry Fiesta Salsa. On half of the tortilla spread the cream cheese, top with turkey and salsa. Fold tortilla in half. Spray a small skillet with cooking spray over medium heat. Add tortilla to skillet and cook until lightly brown on one side, about 3 minutes. Flip quesadilla and cook other side until lightly golden. 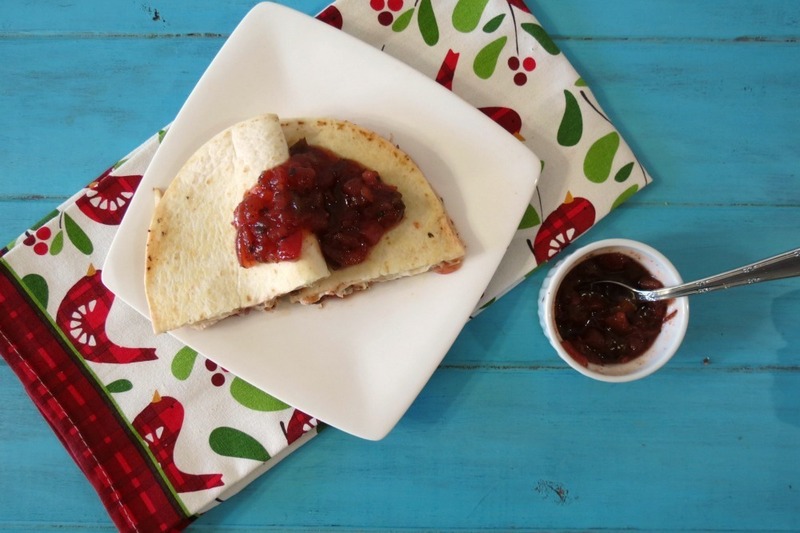 Cut quesadilla in half and serve with a side of Cranberry Fiesta Salsa. Oh baby, I can’t wait to have this for lunch again! I just love salsa and you know from previous posts, like Monday’s Cranberry Orange Spritzer that I am a huge Ocean Spray fan. I was really happy to do this review for them. Ocean Sprays Cranberry Fiesta Salsa is exclusively available at Costco’s. So next time you go to Costco, look for the salsa! So what is the giveaway today? It’s not what you expected!! 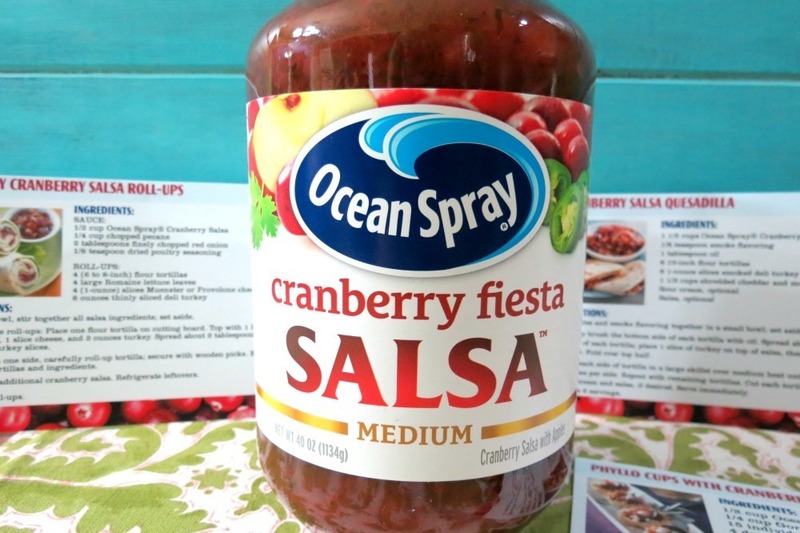 The kind folks of Ocean Spray want you to try out their Ocean Spray Cranberry Fiesta Salsa and to do that, they are giving away a ONE year membership to Costco, but that’s not all!! They are also giving you a $50 gift certificate for Costco so they can help you stock up for the holidays!!! So what do you have to do to win the giveaway? All you have to do is answer this question: How would you use Ocean Spray’s Cranberry Fiesta Salsa? For additional entries, you can do the following: Just make sure you tell me you did! I will announce the winner on Wednesdays post!!! 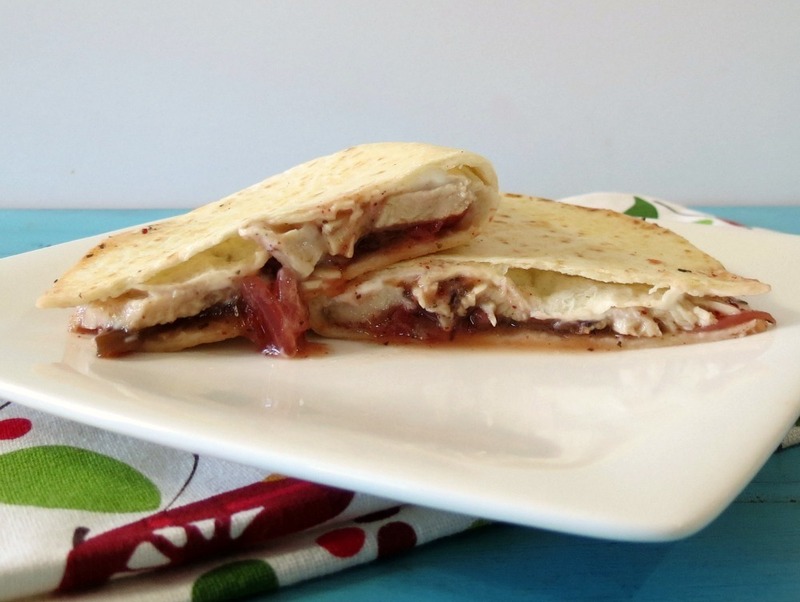 I would use it just like you… on a quesadilla, panini, or any sandwich with turkey. That salsa sounds great!! Definitely a great way to use up some of those leftovers! I would eat it with quesadillas or pita chips. 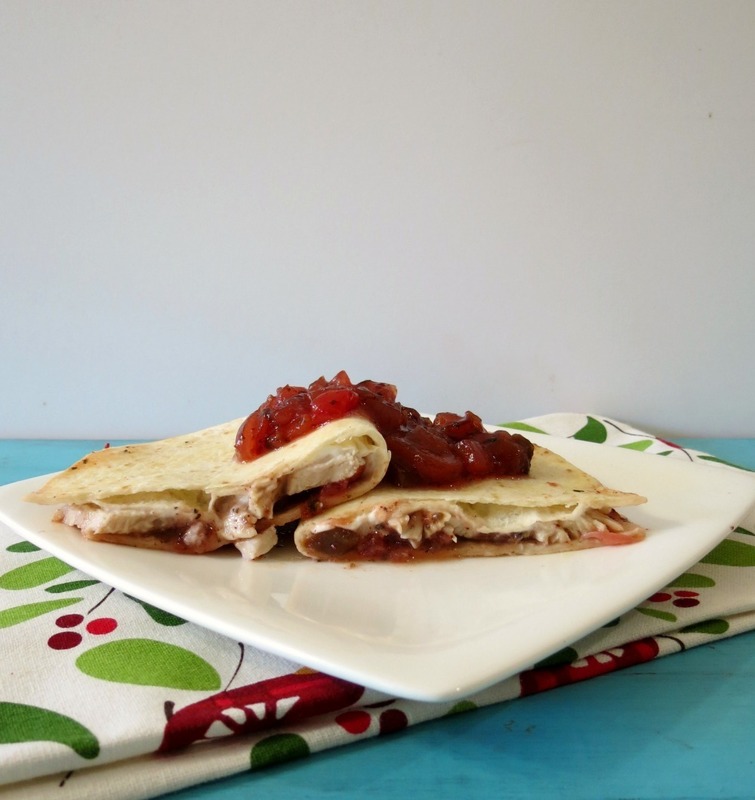 I follow on Pinterest, and pinned your recipe for Turkey Cranberry Fiesta Quesadilla. I think it would make a killer panini! I would love to use it in making turkey cranberry enchiladas or use it as a simmering sauce in the crock pot with turkey meatballs as an appetizer. Thanks for this great giveaway. I like Peanut Butter and Peppers on Facebook. I follow you on Pintrest and repinned the giveaway. I would make a cream cheese dip with this for pitas and chips! This salsa looks great! I would love to use it with baked brie. I like Peanutbutter and Peppers on Facebook. Thanks for the chance to win! Giveaways in December are so much fun! I have a Whole Foods giveaway going on now and would love for you to enter. Good luck! I would use this yummy looking salsa on a turkey panini. I would use it like you did = in a quesadilla! Then I’d use it in a turkey sandwich and in turkey salad. I like both you and Ocean Spray on FB. I would use it on a grilled cheese sandwich! I would eat it with chips! I would use it on a turkey sandwich, on top of a salad, or I would just dip some crackers in it! I would use it as my dressing on a salad along with some leftover turkey on top. I would also use it on a slices of grilled bread with cream cheese as bruschetta. I am a salsa fanatic so I would love to try this! How would I not use it is the question… the one idea that comes to mind first is to put it on cream cheese for an awesome dip! I like you and Ocean Spray on Facebook! I would use it on turkey sandwiches and on crackers with cream cheese. It looks delicious. I would make a grilled cheese cranberry salsa panini! Great quesadilla! Smart promotional idea too! I think the Ocean Spray Cranberry Salsa would go well as a garnish for spinach quiche, or served with a warm brie. Yum! I follow on Pinterest as JillM18 and pinned this giveaway to my Giveaways board. I would serve it as a dip over cream cheese. I’d slow cook it in the crockpot with chicken breasts so they would absorb all the flavor! I also follow you on pinterest and repinned it! Hoping I’m a lucky one. Thanks for this opportunity! Ohhh yum!! I know, thanksgiving came and went and now christmas is creeping up on us! I loved chicken breasts slow cooked in salsa, so how about a turkey breast cooked in this salsa? Bet it would be very tasty! 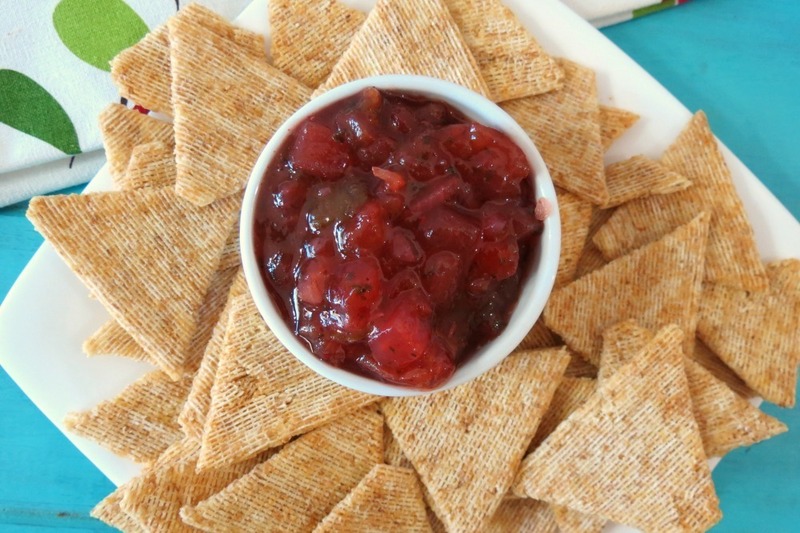 I would use cranberry fiesta salsa with pita chips but it sounds amazing with turkey!! I follow peanut butter and peppers on Facebook and Repin a lot of your posts on pinterest! I would use it on a turkey sandwich made with an Hawaiian bun….. I would spread it on a turkey panini with a layer of cream cheese. Yum! I would mix it in some homemade queso dip and have some tortilla chips for dunking and scooping! I follow you and Ocean Spray on Twitter. I posted a tweet: https://twitter.com/FireRunner2379/status/407306856365686784. I like you and Ocean Spray on Facebook. I pinned the giveaway: http://www.pinterest.com/pin/122371314848725238/. I would pour the Ocean Spray Cranberry Salsa over a brick of cream cheese and serve with snack crackers. YUM! I would use it to make turkey sandwiches. I would use it in a turkey wrap sandwich! Sounds delicious! I would use it on a turkey sandwich. I’d eat it straight up with tortilla chips. I havent seen the salsa in stores yet – but i would eat it with my turkey chili wraps!